‘Mind Blown’ was the consensus coming from Facebook’s 2015 F8 Conference. Michael Abrash, chief scientist from virtual reality company Oculus Rift takes the audience through the rabbit hole, quoting Morpheus from The Matrix films. 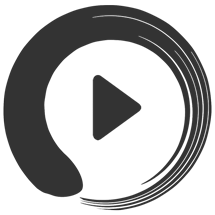 Optical Illusions from the video are included in the article to reveal that our experience of reality is quite virtual already. “I think it’s fair to say that our experience of the world is an illusion.” – More of a creation in the brain than an accurate representation of reality. Optical illusions show us our perceptions and constructions of reality at play. Some of the visual illustrations from Abrash’s presentation follow here. By the way, if you have any doubts of the validity of the claims being made below, feel free to download the images and check the colors in Photoshop or similar photo editor which allows you to find the hexadecimal color codes. I just did that while working with these images and it is quite amazing to see the actual colors versus how they appear. As Morpheus asks Neo in The Matrix movie, would you like the blue pill or the red pill? 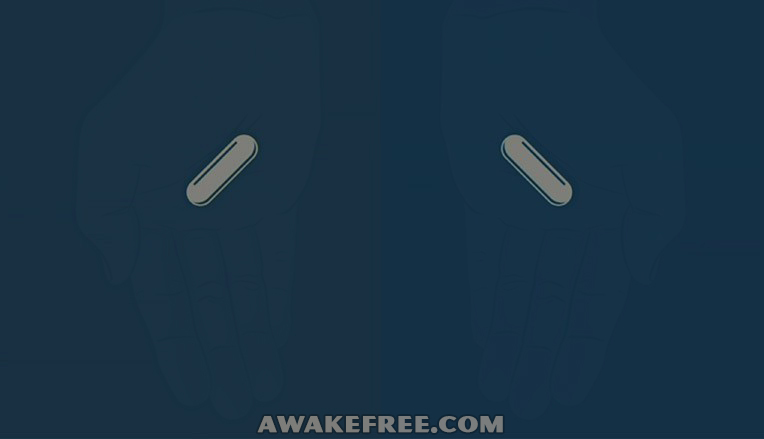 Both pills on the left and right hands are the same shade of grey as revealed when you cut out the background colors as shown in the image below. 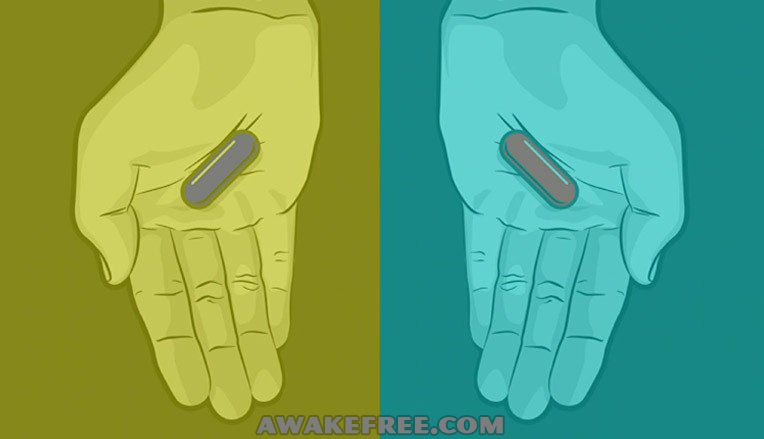 Now even when you know both pills are the same grey color, when you look at the image above, your can’t help but see blue or red. Your brain infers the colors you see based on other cues. But this color inference is happening only in your head. Notice the squares highlighted by arrows, the blue squares on the left side and the yellow squares on the right. Once again, they are the same shade of grey as revealed in the image below. 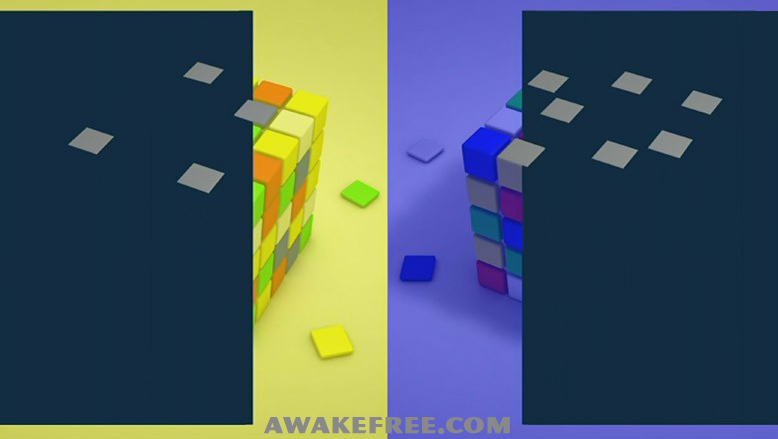 But even when you know the squares in question are grey, your brain still infers blue or yellow squares according to the different background cues seen in the image above. Notice the top row of black and white tiles. The center three tiles in the top row are in fact the same shade of grey as revealed below where the background is cut out. 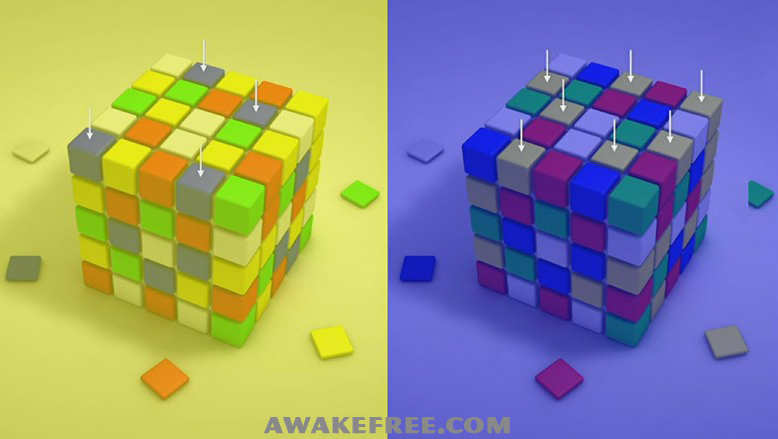 Yet when you look at the image above, your brain is actively picking up cues, inferring a pattern, and guessing what the colors must be according to light, shadow, and colors of the scene. Grey in a well lit area must be black. Grey under shadow of the table must be white. This is the exact same phenomena that sparked the Dress meme which divided people who saw the same photo of a dress as either black and blue or white and gold. Both parties held emphatically to their version of reality. Here is our post about The Dress Explained Through Science. Michael’s presentation has other provocative examples of our perceptions at work and there are many more which we can explore. As Michael mentions in the video, we have blind spots in each eye which we’re unaware of in our daily living, our center of focus is quite small and the surrounding area a blur, we don’t have depth perception past 20 feet. Yet we infer depth, size, dimensions, colors, a 3D world surrounding us based on visual and sensory cues, memories, and an internalized model of the world. Now if we’re all greatly inferring our experience of the world, what does that mean about what we know and feel to be true? What does this mean about what we infer of others, ourselves, our lives, how we communicate and relate? 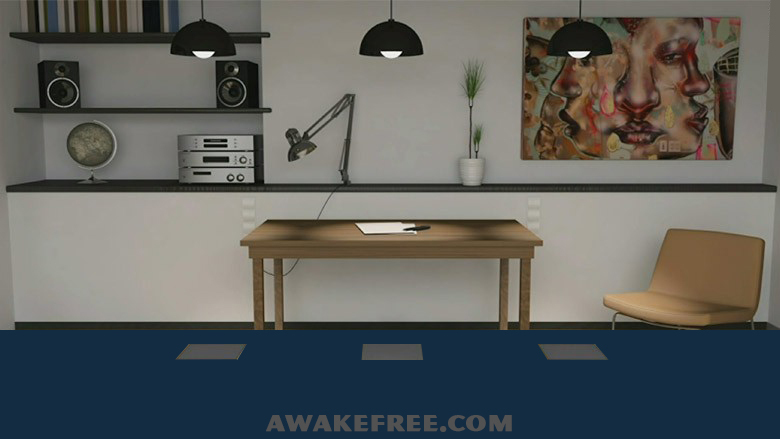 Continue further down the rabbit as we explore these implications at Awake Free through articles such as Worlds Colliding and Blazing Movement of Understanding. We are always amazed whenever we discover something new about our own nature and reality. Human beings may in some ways interpret reality differently but such differences do not create any problem. The problem occurs when the mind creates differences on the basis of ideas that have no relationship with reality. Numerous problems arise when we act on the basis of inferences and interpretations arising out of past psychological knowledge that has been accumulated in the brain because of false assumptions. What we infer of others, ourselves, our lives, how we communicate and relate largely depends upon the way our brain operates on the basis of images that it has formed and not on the basis of truth, not on the basis of love, affection and compassion. That is why we do not have healthy and harmonious relationships with each other. It would be good to examine this aspect of human predicament in greater detail.